Download Torrent "The Farm Home Cookbook: Wholesome and Delicious Recipes from the Land - 201..."
These irresistibly delicious recipes come from the kitchens of cooks who grow much of their own food. They prepare their daily meals with as much care and enthusiasm as they garden and farm! Their recipes for Foggy Day Chili, Maple Almond Granola, Chicken Thighs with Red Potato Crust, Garlic Soup with Parsley Spaetzle, Apple Butter Spice Cake, and Goat Cheese Spread are made with whole foods, animal fats, organic vegetables, and sustainably grown chicken, beef, and pork. After author Elsie Kline has put New Peas and Tiny Potatoes on the stove, mixed up Sausage Sweet Potato Bake, and prepared a batch of Creamy Cress Salad Dressing and Sunflower Flaxseed Bread, she goes back to editing Farming Magazine. 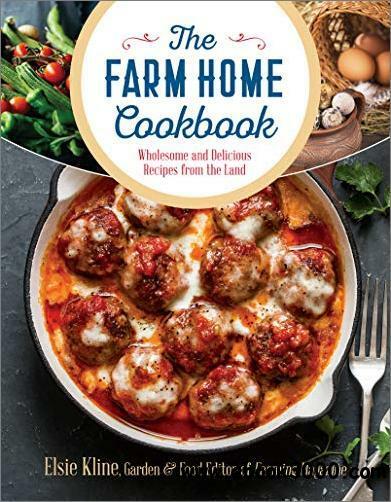 The Farm Home Family Cookbook offers more than 200 delectable recipes, each with readily available ingredients and clear, step-by-step instructions. Finely etched sketches by Kate Lord are spread among the recipes.